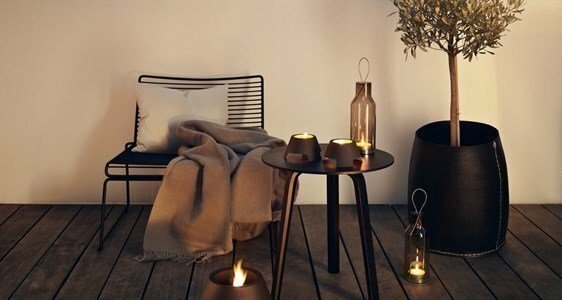 Create a cosy environment after dark, with one or more lamps! On your table or window sill, on the floor or hanging... their glow will lighten up the patio, balcony or garden... for leisure and gathering moments. 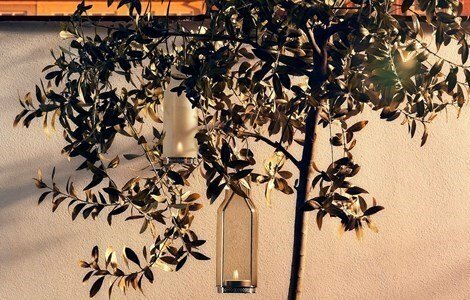 The glass lanterns are not only beautiful and elegant but also an excellent decoratice element. Even during the day, Glass Lantern lightens up your way with a simple yet contemporary design. Each lantern is fitted with a strong wire which ensures safety when hanging and still allows the lantern to be moved around, even while lit. Replacing tea lights in the base of the glass lantern is straightforward, just lift up the glass and place the tea light on the metal base. The lantern is made of glass. The wire and base are made of stainless steel. This is the time for the good energies, beach days and long nights. Get inspired for an unforgetable summer!